Many of the world's leading brands trust SoGoSurvey CX to power their end-to-end customer experience management and improvement strategies. 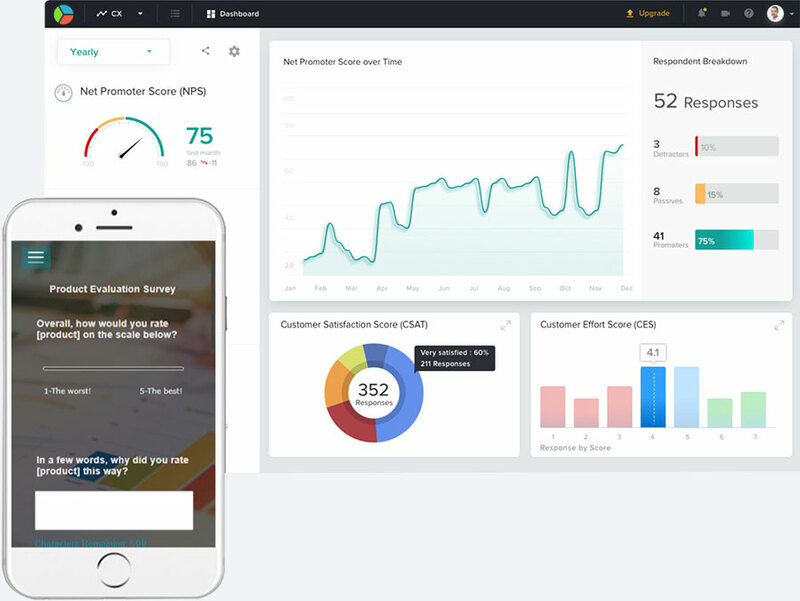 Enhance every aspect of customer experience, improve conversion rates, and streamline all data management with our Customer Feedback platform. Using the most secure online service available, you can focus on targeted outreach, customized messaging, and targeted market segments without expanding your in-house IT team. Customizable and scalable digital campaigns that improve customer retention and customer loyalty by engaging customers via their preferred method of contact. Complete worldview of all relevant data on every campaign and communication stream through our platform. Mobile access and alerts available worldwide through web interface or native app. 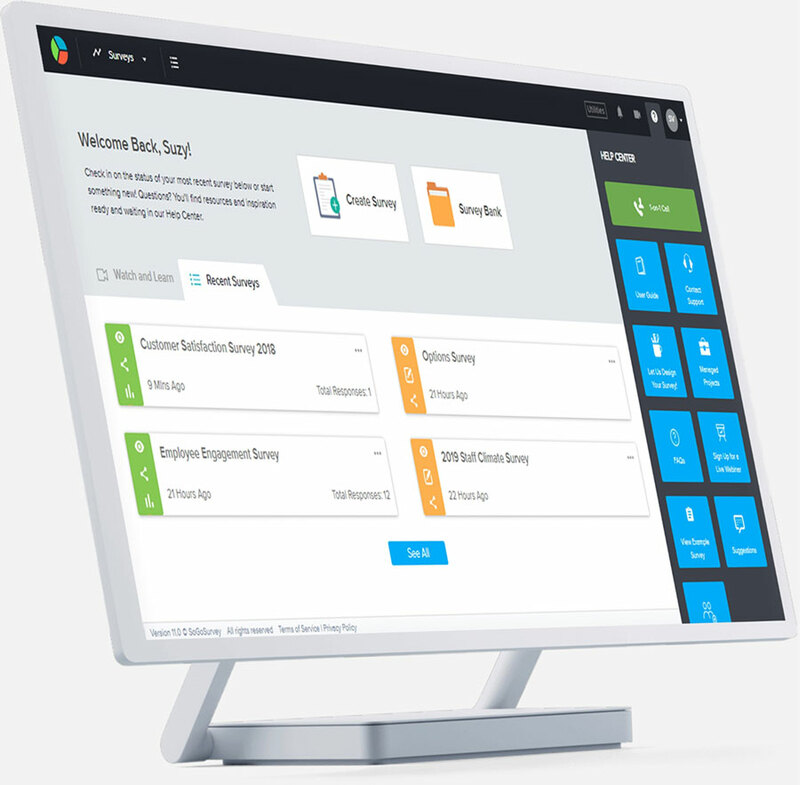 Our customer experience management strategy is simple: Giving you complete control of the distribution and data management across every possible channel provides the ability to deliver the best experience possible. Understanding what drives action and engagement in your world is the key to building a customer experience strategy that can grow and change as you do as an organization. Our platform gives you the tools you need without locking you in to cookie cutter responses. Whether it's a two-question survey or a robust feedback form, every interaction should feel personalized to every customer. Build strong customer survey questions that matter to you and your audience. Predictive modeling is based on various analytics, previous experiences, and monitoring online issues to help you intercept problems before they impact your business. Distributing data throughout your organization across all channels prevents response bottlenecks and encourages innovation. Metrics and sales are one thing. Reputation is another. Owning and controlling every aspect of your company’s customer experience management software will let you view and shape your own brand positioning in your market sector and beyond. Craft and distribute amazing messaging from anywhere in the world, all trackable in real time. Build surveys, quizzes, and feedback outreach via our traditional web interface or native app. Utilize dozens of features including predictive learning and geolocation to improve your brand profile. Offer smarter, shorter, and personalized connections at every stage of the customer experience management. More data doesn't help. Getting the right data to the right people using the best customer survey tool, makes a big difference. SoGoSurvey’s platform, including optimized customer survey templates and the most flexible survey tool on the market, makes it easy. Connect customer feedback data to decision makers who will make the most of the data and watch your fortunes soar. Analyze potential correlations between important variables and key metrics to better understand where your resources can have the most impact. Text and messaging analytics allows feedback to reviewed, flagged, and processed immediately, generating real opportunities to address consumer concerns. Automated responses based on predicted behaviors give customers instant engagement, creating opportunities to convert negative experiences into something that is brand positive. NPS is recognized as one of the essential metrics in Customer Experience Management. Our live data reporting and automated outreach lets you identify which customers are at risk. *Ask us more about our Retention Tools.